We LOVE celebrating your work and we know how much hard work goes into every client visit behind the scenes. We’re proud to be the tool that supports you so this month, we’re giving away even more ring lights to take your appointments to the next level and for your clients to shine even brighter! Want to be one of three winners this month? 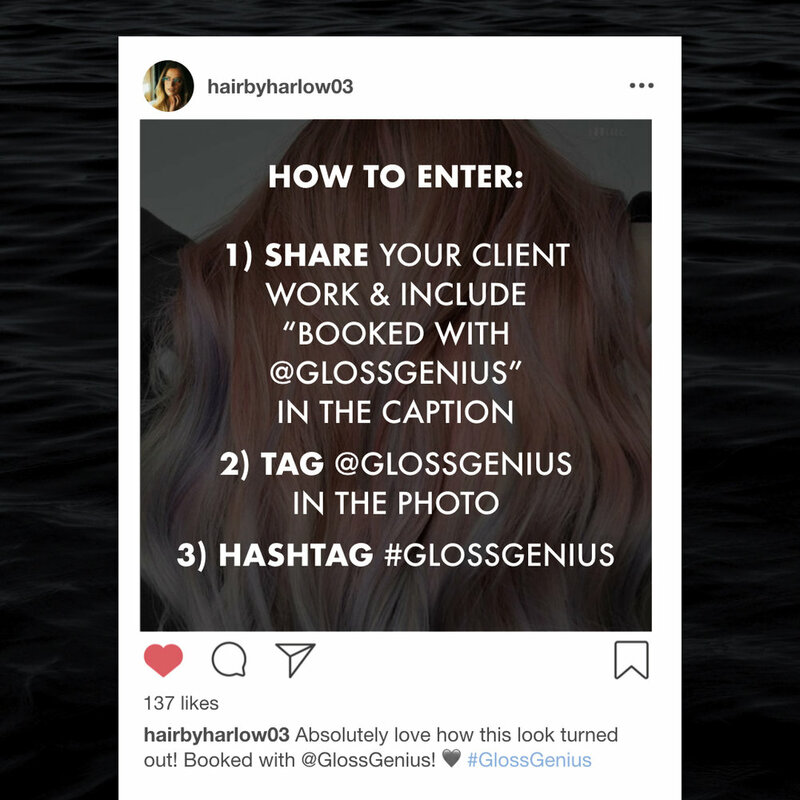 Share your client work and include “Booked with @GlossGenius” in the caption. Tag @GlossGenius in the photo. Include #GlossGenius in your caption. EVERY client photo shared following the steps above counts as an entry ALL month long! Each submission must include all 3 steps listed above. Instagram profile must be public. Contest runs until 4/30 and winners will be announced on 5/1. Join our online community and check out other entries from #GlossBosses on our Instagram here!